Polycystic ovary syndrome (PCOS) is a condition that affects women of reproductive age. This endocrine disorder comes with symptoms like hormonal imbalance, obesity, type 2 diabetes, insulin resistance, among others. There are no known cures for PCOS; managing the symptoms of this condition works well. One of the most effective therapies to treat the symptoms is the ketogenic diet. This diet is a low-carb, high-fat, and high-protein diet. The carbohydrates go as low as 30 grams. A ketogenic diet works by burning fat instead of glucose. The body is tricked into thinking that it’s starving. The low levels of carbs deny the body its main source of energy. The body looks for the alternative which is fat and ketones. The fat stored in the fat storages is broken down and used for energy. 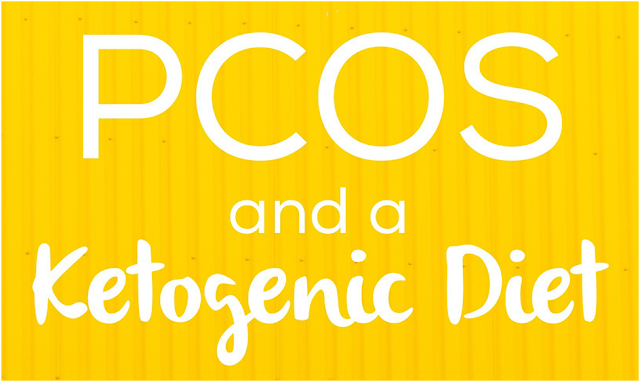 Most people with PCOS have diabetes, obesity, and insulin resistance. A low-carb diet helps by burning fat and promoting weight loss. When the body lacks carbohydrates, it goes into a state called ketosis. This state involves the production of substances called ketones that keep the body energized. The body uses the fat that is stored in the fat storages to generate energy. The ketogenic diet incorporates lots of fat to increase the new source of energy for the body. The ketogenic diet is the most effective in the control of blood sugar levels. As we have seen above, the keto diet cuts off most of the carbohydrates intake. A person on a keto diet takes 30 grams of carbs or less per day. Remember that these carbs should be distributed throughout the day. The carbs take 5% of the meals. The proteins take 25% and the fat takes 70%. The low levels of carbohydrates reduce the level of glucose in the body. When the glucose is less, the insulin in the body is able to handle the little glucose that is available. The body maintains a normal level of glucose. The most common symptom of PCOS is the irregular menstrual cycle. Many women complain of the lack of their periods. When the level of insulin escalates, the hormone testosterone is also produced. Testosterone is the culprit that causes all the mayhem in the menstrual cycle. Testosterone is a male hormone that is also found in the female body in small amounts. When this hormone level is restored to its natural amount, symptoms like acne, body hair, and infertility disappear automatically. A study on the benefits of the ketogenic diet on PCOS that included a group of women of reproductive age was put on a strict keto diet. The diet included 20 grams of carbs per day and an unlimited amount of proteins, water, and fat. The study was carried for six months. This diet promises to help many patients with PCOS. However, starting off might not be as easy as it sounds. The body might pose some resistance due to the sudden changes. You might experience dizziness, anxiety, fatigue, and irritability among others. These symptoms last for a week and your body gets used to the diet. The women were required to have blood tests and body weight taken constantly to monitor their progress. Six months later, the women had lost up to 12% of their initial weight. Their BMI improved tremendously after the weight loss. The study revealed a possible normalization of the endocrine system. The insulin sensitivity increased and the hormonal imbalance was controlled. The keto diet was initially developed by the Johns Hopkins Hospital experts for the treatment of seizures. The diet stopped the seizures from epileptic patients after a controlled period. The diet has been modified and used for other health benefits. A ketogenic diet Plan overview reveals the immense benefits of this diet on many previously incurable conditions. PCOS has been a menace for about 4% women of child bearing age. This diet has been embraced by these women to try and curb some of the symptoms that come with PCOS. Women have reported improvement on their menstrual cycles, weight, and insulin sensitivity. 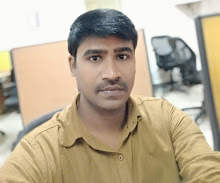 U.Manikandan who the founder of worldinforms.com , Living in Chennai, Tamil Nadu. I am more passionate in blogging.